Westsail Owners Alliance - Post: "1975 W 32 Mariah Is For Sale"
Post: "1975 W 32 Mariah Is For Sale"
1975 Westsail 32 MARIAH is reluctantly for sale. Mariah is currently cruising in the Med. She has been extensively outfitted and carefully maintained for long distance voyaging and living aboard. She is ready for you to step onboard and make your own dream come true. Living aboard Mariah for the last 9 years has been the adventure of our lives. Sadly, health issues force us to move ashore. We have rebuilt virtually all of her systems using the best available equipment & have maintained her with an eye to safety, sailing ease, and comfort while living aboard. 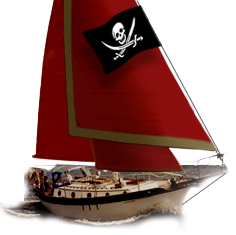 She is a well equipped, sea worthy cruising sailboat with an extremely large inventory of spares for continued cruising. With only a crew of two, we have voyaged from the east coast of the US, to the Caribbean, crossed the Atlantic, to Northern Europe, the French canals and the Mediterranean. Mariah, currently in Southeast Italy, is well poised for you to cruise Venice, Croatia, the Riviera, the Greek Islands, or beyond in 2006. Additional information: www.w32mariah.com for a full listing of equipment and more pictures.